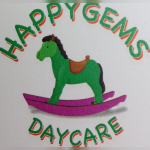 We are Ofsted Registered Childcare provider located in Erith,Sladegreen,Crayford,New cross. Within our setting,there are lots of opportunities to learn through creative and outdoor play,puzzles,toys,books and games with the aim of exploring and discovering.We offer 2,3&4 free government funded hours and we pick up and drop off at home. Furthermore,we have Breakfast and Afterschool Club Facilities as well where we support children with their home work and currently picking from Jubilee primary school,Castellion primary school,Windrush primary school and Linton mead primary school, Kindly call us for more details. Below are the latest reviews for HAPYGEMS. Please note that reviews represent the subjective opinions of other Childcare.co.uk users and not of Childcare.co.uk. Parents must carry out their own checks and references on childcare providers to ensure that they are completely happy before enaging in the use of their services. I decided to go and see this place because of the hours and location - but am so so glad I did. Felt so comfortable as soon as I walked in, my little one (2) loved it is well... we had been to a few others but always felt hesitant. They have been so understanding, working around my timetable (that’s BiG plus for me, working in city full time). My little one absolutely loves this place, she comes back very very happy, as soon as I tell her we are going to school she’s up in the morning. She is well fed and looked after. I get updates throughout the day just to ease my mind and I get a daily diary of what happens in the nursery all day. Thank you for taking such good care of my daughter. Thanks a lot for taking care of my baby,your experience of new born is fantastic,I am impressed.